This handsome knight is prepared to fight! To the Batmobile! 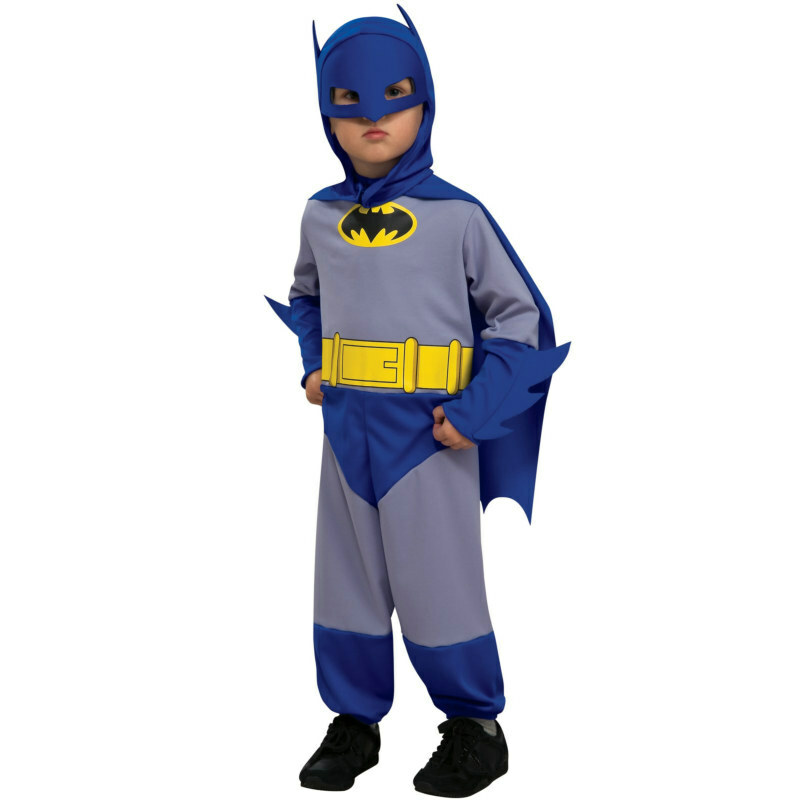 The Batman Brave & Bold Batman Infant/Toddler costume includes a classic Bat jumpsuit complete with the signature Batman insignia and utility belt decoration. 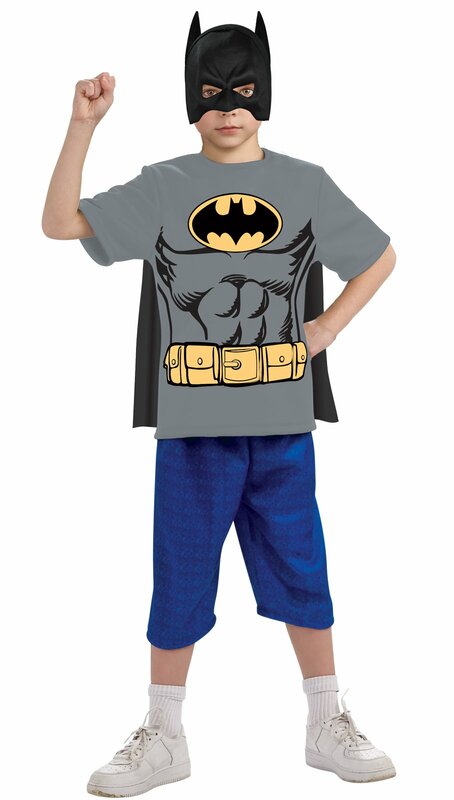 A masked headpiece (to hide your secret identity) with a cape attached is also included in this heroic ensemble. 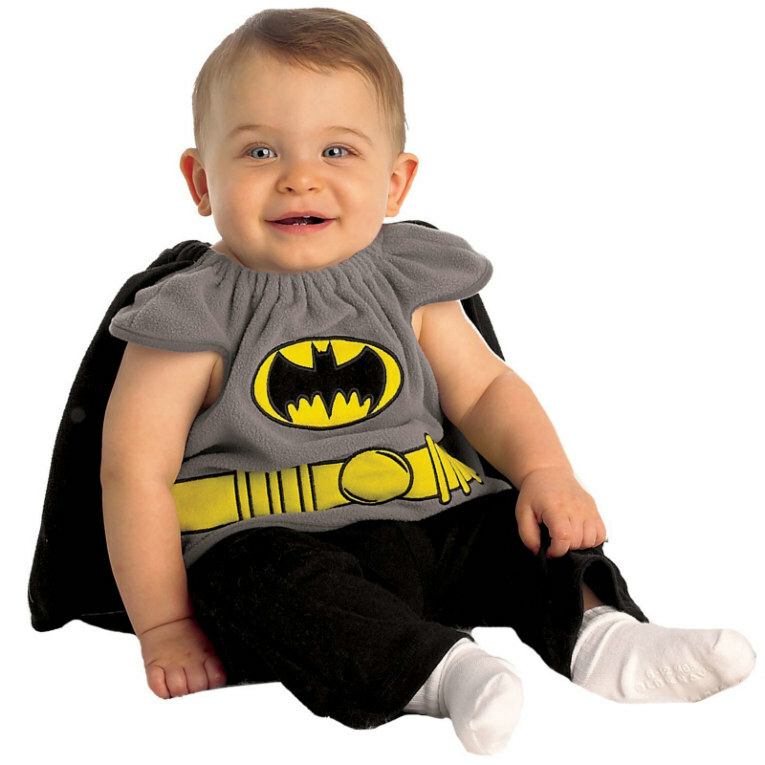 Available in One Size Fits Most Infant and Toddlers Sizes: 6 to 12 Months. Approximate Measurements: Chest 22-24", Waist 22-22.5", Inseam 10", Cape 16". Availability 6-12 Months (185298), Toddler (185299) Orders placed by 4 PM CDT usually ship same day. Included Accessories Headpiece, jumpsuit, cape. 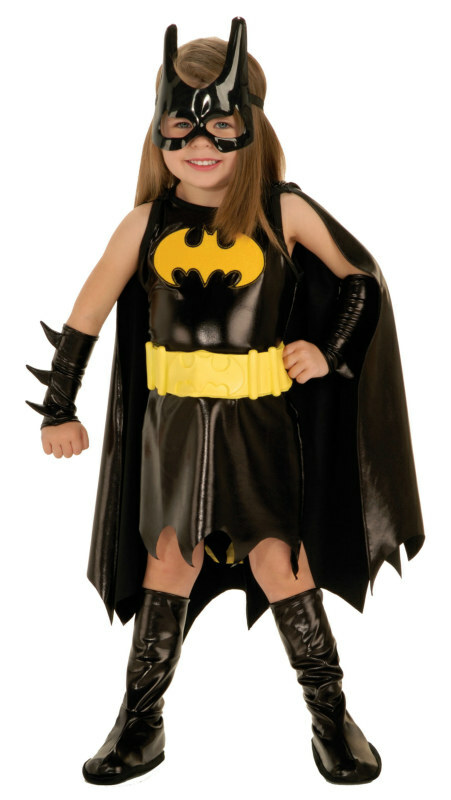 LEVER COSTUMES Batman Brave & Bold Batman Infant/Toddler Costume and interesting games are what make a Halloween party fun. Here are three costumes that are bound to provoke comment and laughter, and a game alled the "spook race" that fits right into the witch-ghost-goblin atmosphere of this October celebration. Dimensions for the costumes can be changed to ccommodate youngsters of different ages.